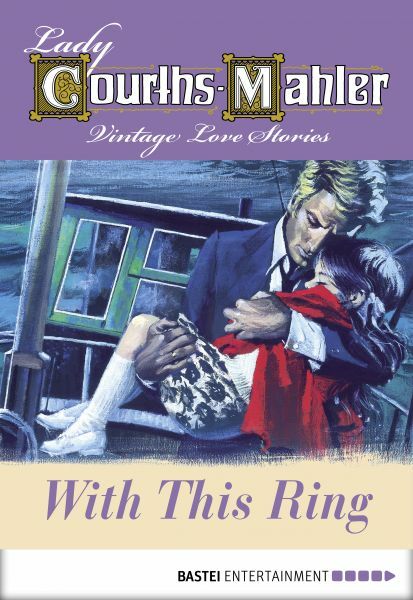 Lady Courths-Mahler - Vintage Love Stories: In this "vintage chick-lit" series there are no cell phones nor computers - but love letters that sometimes take weeks to reach their starry-eyed recipients. Suitors court their sweethearts, and gentlemen woo their ladies. Legendary German author Lady Courths-Mahler paints a portrait of magical romance, of a glimpse into the life of beautiful damsels and handsome heroes. These "fairytales for adults" from the early 1900s have been revived from the vaults and appear now for the first time in English. Their tender charm will leave your heart singing for more. -- Follow the interweaving lives of high society German royalty as they struggle with prejudices while trying to follow their hearts. As Nurse Maria tries to escape her haunted past, she becomes caretaker for the sickly son of a widowed prince. Now, Maria must decide what to do about her growing feelings for Prince Rastenberg - stay or flee? Other royal families must also fight against what is considered proper and what their passions tell them to do. Since Duke Ferdinand has already chosen a common woman as his wife, their children must deal with the aftermath and stigma associated with being outcasts among the elite while the Duke is forced to marry a new woman sire and heir. How will their passions clash with the rigid rules of their peers? -- The author's story could have come from one of her novels: a real fairytale like the story of Cinderella- but she did not marry the prince, she became a queen on her own. Born Ernestine Friederike Elisabeth Mahler on February 18, 1867, in the town of Nebra a.d. Unstrut, Hedwig Courths Mahler was the product of an out-of-wedlock affair. She was raised by various foster parents. She first worked as a saleswoman in Leipzig while she wrote her first seventeen novels. Between 1905 and 1939, after marrying and giving birth to two daughters, she became a highly circulated author with her Courths Mahler romance novels. But success did not come easy to the energetic young woman who originally wrote in order to feed her family. At times she sat at her desk, writing for fourteen hours a day, turning out six to eight novels each year. As the Nazis refused to publish her work, Hedwig Courths-Mahler stopped writing in 1939. When her daughter was arrested by the Gestapo, the author suffered such great agony, she never wrote again. On November 26, 1950 Hedwig Courths Mahler died on her farm at Lake Tegern without witnessing the Renaissance of her novels.